DARK OZ. Independent comic publisher. This is the story of a hobby turning pro. A plan that came together and now creates work for talented writers, artists, designers and local printers. A crazy busy Darren Koziol gave us his story when we tracked him down after one of the many conventions he attends up and down the country. 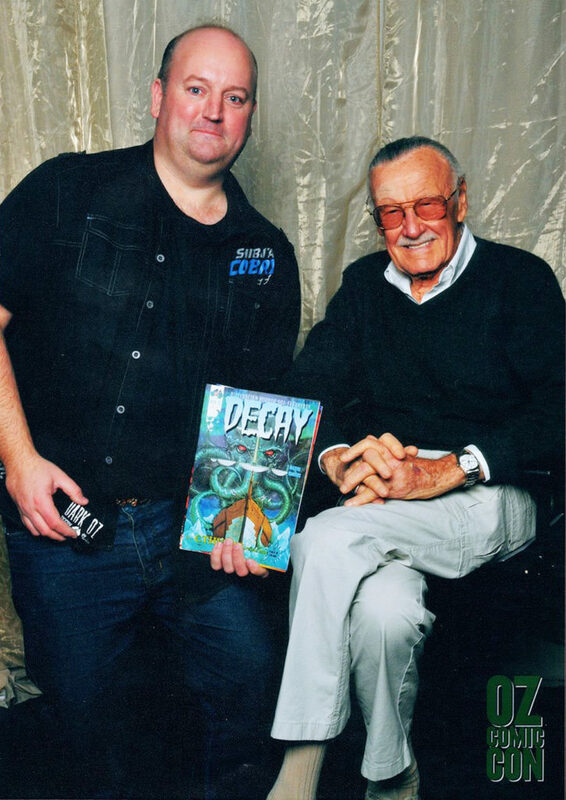 Darren Koziol meets Stan Lee. Darren was registered with Centrelink, and a job search agency. Once he was accepted and started his NEIS training, he was meeting his requirements to continue receiving benefits. Darren could study and research his business idea instead of looking for other work. He could also work a part time job for additional income support – but needed to focus on developing his self-employment idea to try and make it a long-term success. Darren started DARK OZ, an independent comic book publisher that now features the biggest showcase of local creators assembled under one banner. 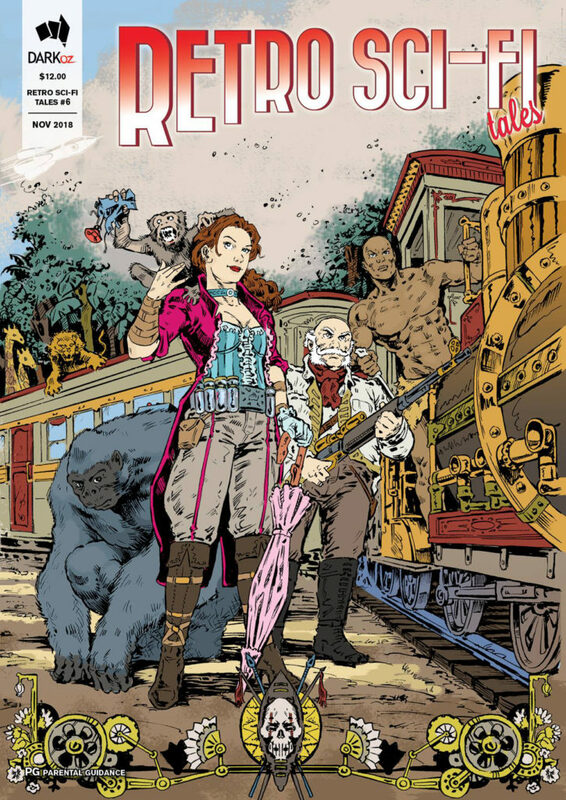 Over 150 writers, artists and designers, many from Adelaide, others from across Australia appear in the anthology comics DECAY and Retro Sci-Fi Tales. 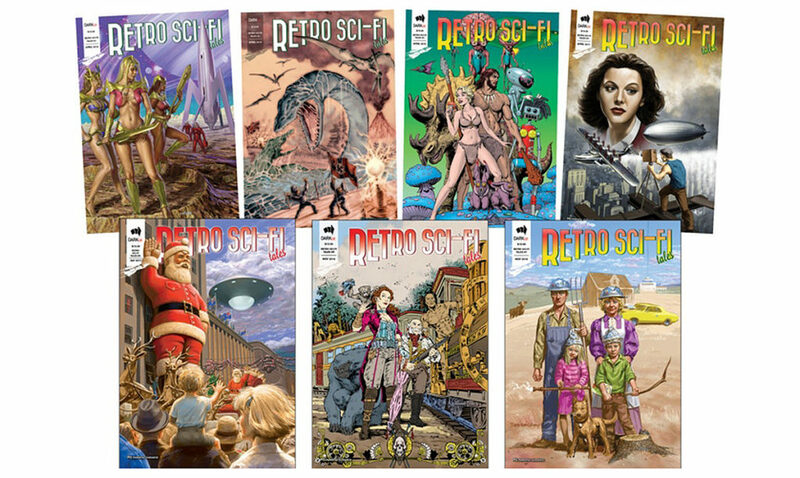 DECAY is a Mature Readers horror anthology, while Retro Sci-Fi Tales is a PG rated, action & adventure, old-school styled, science fiction comic. 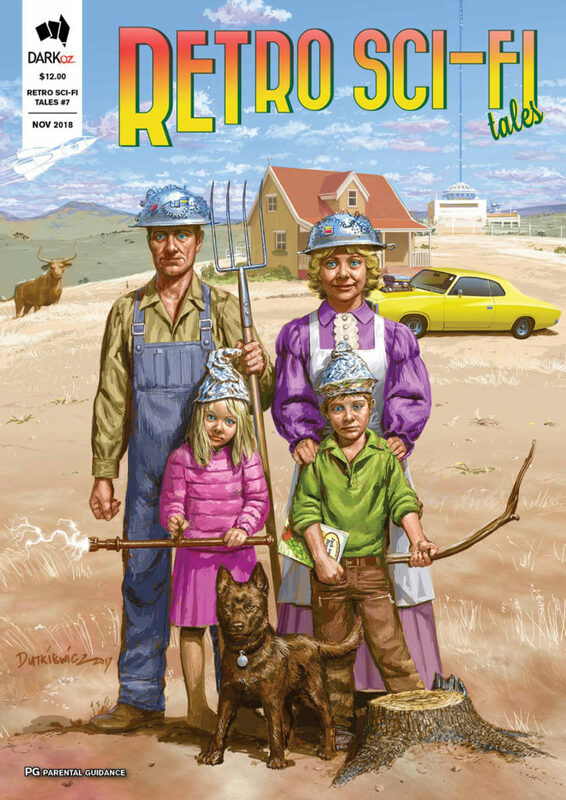 Cover art by Ben Sullivan. To get the word out, Darren packs up boxes of books, posters and props for the next convention. When you look at the calendar at DARK OZ there are events at major centres and capital cities around the country each and every month. Comic conventions are basically a trade show from another dimension. Fantasy characters roam the aisles, posing for photos and looking at new artwork while artists sign autographs and answer questions about style and plot! The planning and logistics to be a part of these events is quite a job itself. In the background is always the wrangling of ideas and artwork to produce the next comic book the fans are waiting for. Cover art by Michal Dutkiewicz. “There are always new projects in the works and more markets and events coming up. I drove to Brisbane and Sydney for two consecutive conventions. I’ve only just finished two ‘Supanova’ conventions – one in Adelaide and one in Brisbane (I flew this time). I also sent some comics for display at a convention in China this December. I’ve been contacted by a new convention practically head-hunting me to be at their show next year,” says Darren catching his breath. Things are looking good on and off the page for DARK OZ. Do you have great creative ideas for a new business? Take the first step to self-employment with free NEIS training. Use the postcode search tool to locate your nearest NEIS provider for a chat.